Rocco shows what he's made of! 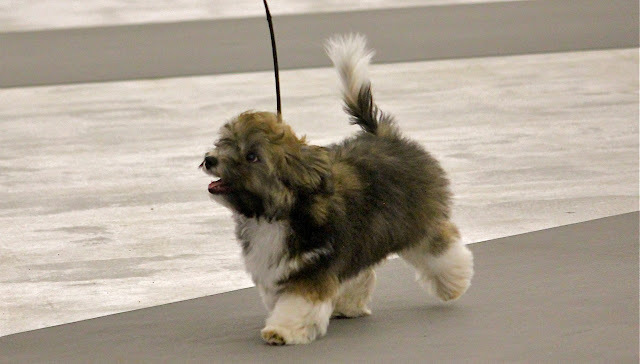 This weekend we headed out to the dog show in Atlanta where Rocco had his first experience in the conformation show ring. 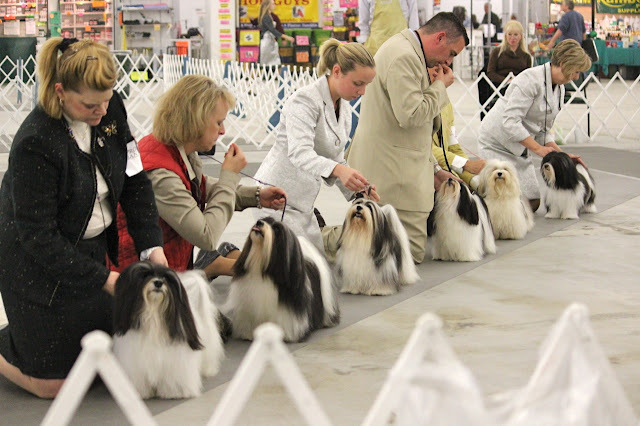 In the breed rings, dogs can start competing when they are six months old. 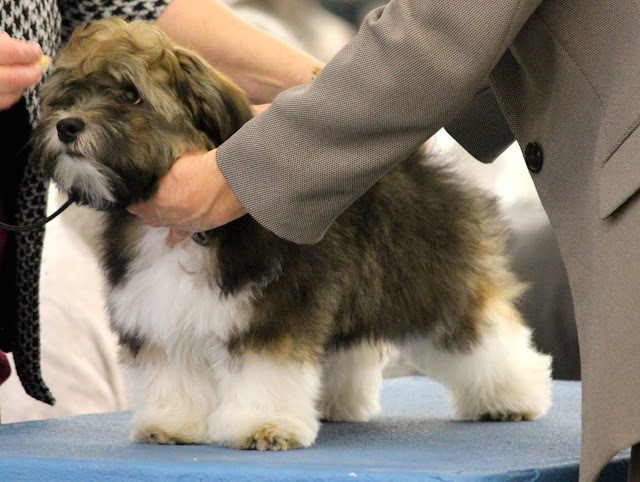 But the AKC has introduced an event where puppies can get some experience starting at four months old! While the pups are put through the same paces as the more experienced dogs, the intent is for 4 to 6 Month Beginner Puppy to be a fun and inviting experience for the young ones, while they get the added benefit of puppy socialization. What do you think Kate's telling Rocco? 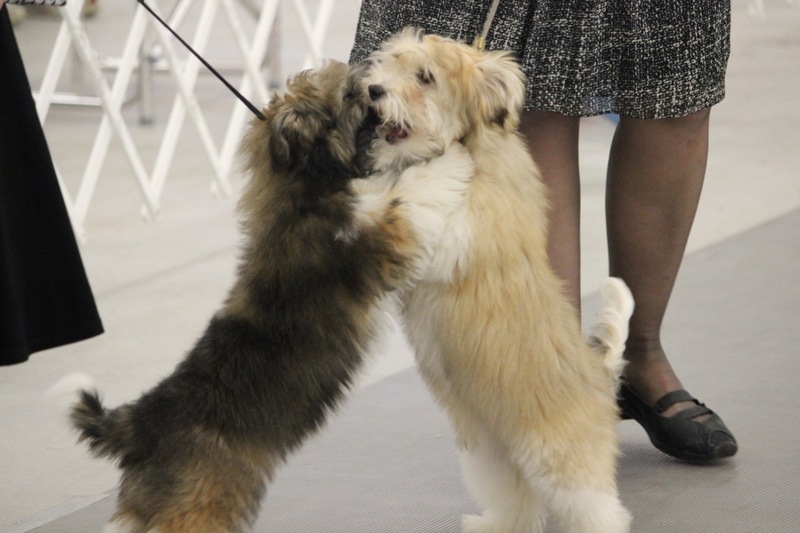 Rocco and his sister Kate both competed, taking the intention of this event to heart, having a friendly romp in the ring while the judge wasn't looking! But when it's time to show, the pups get back to it! 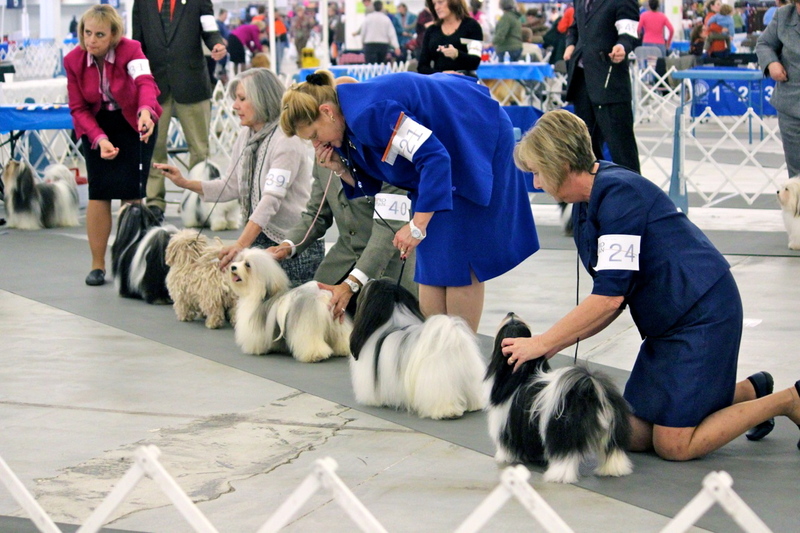 Here you can see why Kate won Best Puppy in her class while Rocco took an admirable Best of Opposite (meaning he was the best boy, since Kate -- a girl -- won top honors). Then we headed over to the Havanese breed ring, where the pups are a little older and wiser. Just about every weekend, there are dog shows like this one being held in towns across the country. They're great fun for the whole family and there's great shopping at the vendor booths too! To check out the show schedule in your town take a look at the event schedule here. Our Freighter made his show debut a couple of weeks ago. He is older so were were hoping he would be on good behavior and thank goodness he was! Don't talk to me about the vendors...lol. I dropped a fortune at the show we attended! oh wow congrats on the great results! They are too cute. Nice job Rocco! Can't wait to see more of your show adventures! I can tell that Rocco is going to be a star!!! Puppies and Tiaras! These puppies are SOOOO much cuter than made up toddlers.